No jokes, no exaggeration, right now is probably the most intense time of my life. Okay, the moments of transition during childbirth were probably the most intense of my life, but they were brief. The intensity I am in now only waxes and wanes with the subtlest fluctuation. Mostly it is bright red and constant, present during the mundane (brushing my teeth), the important (grading a set of papers), the fun (watching a television show), the personal (trying to have a conversation with my husband and daughter), the exhausting (running). Studying for my PhD exams has become all consuming, like a floodlight that is shining on me at all times. No matter where I go, what I do, how much I try to distract myself, it is there. It's not even in the back of my mind anymore (where it dwelled for the past several months). Now that I am one month out from the start of my exams, it is around me all the time. 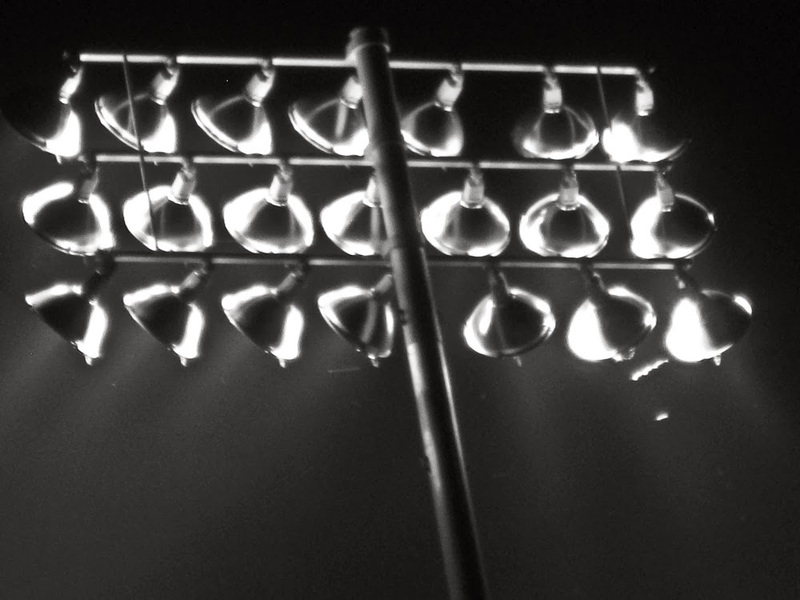 Like a floodlight, it makes it difficult to see everything else around me. I have to shield my eyes from its glare just to get through simple tasks like getting ready in the morning or making a grocery list. I have become distracted, grumpy, scatterbrained. The only time I can turn the light off is when I put on a pair of roller skates. I know that sounds crazy, but hear me out. About four months ago, I put on a pair of skates for the first time in my life and took lessons with a group of children. I felt gawky, baby-giraffe like on the floor. But I also felt something important: focused. If I didn't focus, I fell. If I let my mind wander off to how many books I had left to read or how horrible I would feel if I failed my exams, I stumbled. I was immediately brought back to the present as I bent my knees and tensed to regain stability. Instead of imagining (horrible, dreadful, embarrassing) futures, I was forced to pay attention to the here and now, the sound of the floor under the wheels, the pressure on the outside of my foot as I turned, the shift in my body as I moved. The enormity of exam study is not within the texts themselves. I am capable of reading these books and pulling out meaning. I am capable of talking about them intelligently and drawing connections. I am capable of the work. The overwhelming nature comes from the time you spend under pressure. I'm sure this is true for everyone, but it feels particularly pronounced to me as a part-time student whose prospects of finishing often felt ephemeral, sometimes downright mythical. These exams were like a unicorn; I heard stories about others facing them, but they were so far off for me--taking my one class at a time--that I didn't need to really consider what would happen when I found them. Once the reality became clear, the path was still so prolonged. I have been actively reading the works on this list with the exam in mind for nearly a year. Through full-time teaching and parenting, through managing a household, through an otherwise very full life, this side project grew more and more intense until it was suddenly pushing everything else to the peripheral. And now it is everywhere. And the connection between skating and the exam is deeper than that. 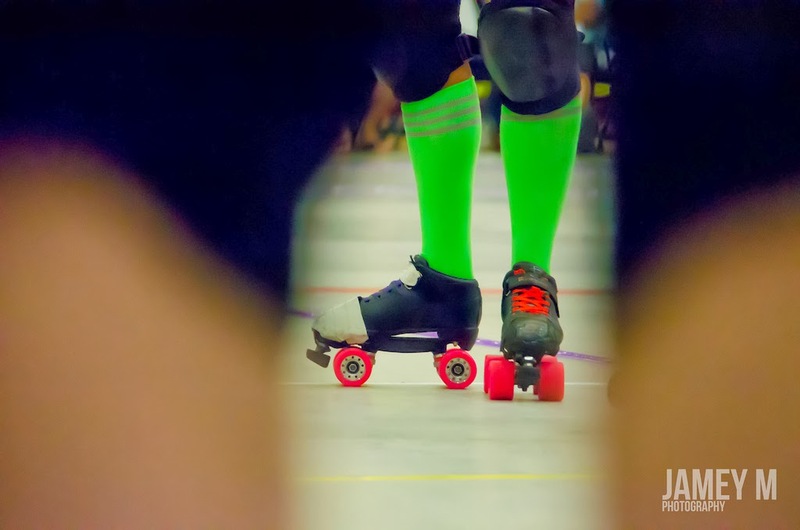 I just read this post called "Practice" to explain roller derby and how it starts out confusing and ends up a part of you. You go to practice and wobble out onto the track. You wobble out onto the track wearing skates that are a size too big for you, a fact you won’t know until two years later when you buy new ones. You go to practice. You go to practice even though you can’t do T-stops, even though you can only skate 23 laps in five minutes. . .
You go to practice on a former ice-skating rink with an uneven floor in a dilapidated park district building. You go to practice in an abandoned store in a shopping mall. You read the book. You read the book even though the words have blurred and the terms have all started to close in on each other. You read the book even though your eyes are watery and your mind is numb with the lists of things you have to do before you can sleep. You read the book and you force your hand to take the notes, sometimes wondering if the words even make sense. You read the book on the bedroom floor while tapping your toddler's back. You read the book while waiting at the DMV as the sighs of frustration and too-loud phone conversations envelop you. You read the book on stationary bikes and whenever holiday family gatherings fall to a lull. You read the book with one hand while you stir spaghetti sauce with the other, splattering the pages. You go to practice because you want to feel like you’re flying. Over and over again. All that work that starts out making no sense, making you cry because of the pain in your feet and legs, making you feel stupid because you don't know what anyone is talking about, it ends up okay. It becomes a part of who you are. Of all the benefits that came from preparing for and taking my exams—identifying the pertinent literature, grappling with and grouping the major arguments, imagining new interpretations and new courses, and experiencing this exercise in sheer discipline—the biggest was psychological. Field exams helped me to imagine myself as a teacher as well as a lifelong student. I will always see my faculty examiners as my teachers, but exams taught me to see them as colleagues as well. And, at its heart, isn't that what practice is? Imagining ourselves as someone else until we become it? So I will go to practice, and I will read the books. Because that's what I do. I just wanted to send you a virtual hug. I remember being a month out from my exams. I was, not to put too fine a point on it, running 50+ km a week and completely insane from anxiety. You WILL get through them. I promise you that. Thank you so much! It is sort of nice to have a finish line within sight--even if it means I'm going a little (or a lot) crazy at the moment.